If you are looking to purchase a Halloween costume for yourself or your child, Party City is having a two day sale! 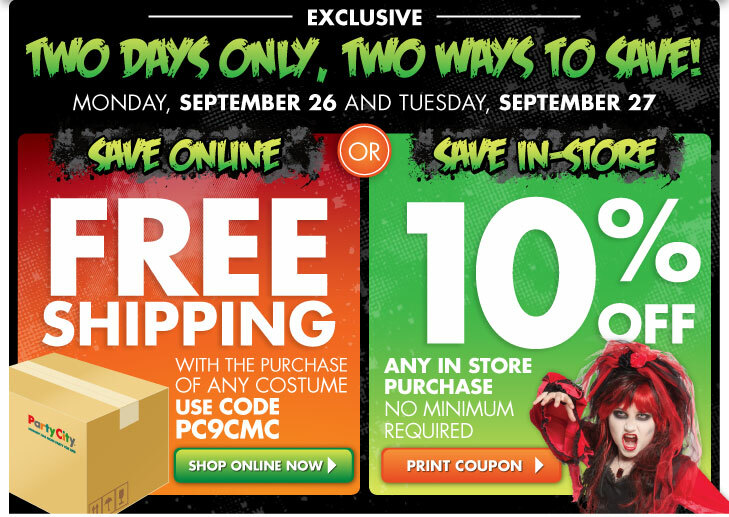 On Monday September 26th and Tuesday September 27th, you can get free shipping on any costume when you use code PC9CMC. If you are shopping in store, go HERE to print out a coupon good for 10% off of your purchase.